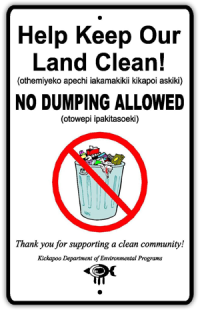 You can find the current public record of Brownfields sites our department is working on by clicking KTO Tribal Response Program Public Record (20 August 2018). Written by: Sabine E. Martin, Ph.D., P.G. The U.S. Environmental Protection Agency (EPA) defines a brownfield as “…real property, the expansion, redevelopment, or reuse of which may be complicated by the presence or potential presence of a hazardous substance, pollutant, or contaminant” (Public Law 107-118 (H>R> 2869) – “Small Business Liability Relief and Brownfields Revitalization Act”, signed into law January 11,2002). A brownfield typically is underutilized, idled and/or abandoned property. Brownfields sites include abandoned factories and other industrial facilities, service stations, oil storage facilities, dry cleaning businesses and any other business or facility that dealt with hazardous substances, pollutants or contaminants. Mine-scared lands, properties impacted by asbestos and/or lead based paint, and controlled substances can be brownfields. How many Brownfields are there in the U.S.? The U.S. Government Accounting Office estimates that there are between 400,000 and 600,000 brownfields throughout the U.S.
What is the EPA Brownfields Program? Protection of the environment by addressing brownfields. Promotion of partnerships by enhancing collaboration and communication essential to facilitate brownfields cleanup and reuse. Strengthen the marketplace by providing financial and technical assistance to bolster the private market. Sustain reuse by redeveloping brownfields to enhance a community’s long-term quality of life.